Kiosk is the next generation of technology used in the IT world. 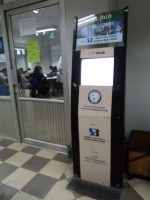 Modern countries use Kiosk to supply information to the mass public and thus eliminating the full-time engagement of a person. 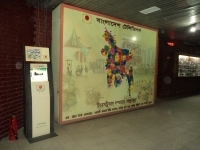 It is a self-service machine which can provide information on demand. 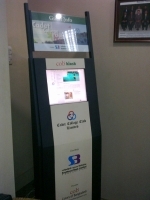 What is a Kiosk or COBKiosk? 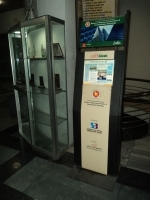 Kiosk is a digital, self-service information desk. 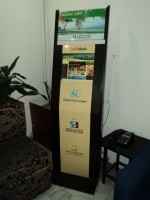 Kiosk has a software installed which has all the information that a person might need. 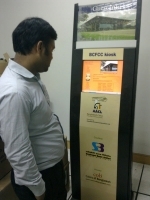 It has a touchscreen to interact with the kiosk software. A person interested to learn about something can use it to gain information about the subject. For example, if a consumer of KFC wants to know the food items available and their price to order, then with the few touches in the kiosk screen he can know the price of the items he like. 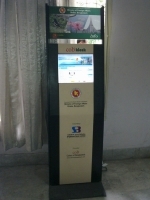 COBKiosk is an international quality Kiosk product delivered by Colors of Bangladesh. Colors of Bangladesh (COB) is devoted to providing complete solution from Design and Development to Setup and Implementation. 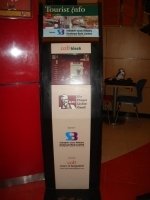 COB is a complete, one-stop solution for your organization for Kiosks. 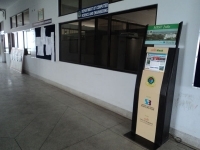 Kiosks can be used where same information needs to be supplied repeatedly. 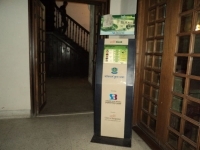 In such a situation a Kiosk can free your manpower for other important tasks in the office rather than dealing with same task that can be done by a machine. 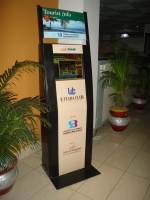 COBKiosk is an efficient, quality Kiosk brand which assures you of the delivery of the product you need. 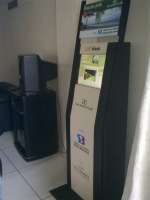 We deal with everything you Kiosk needs – from setup to maintenance — we handle every hassle! your message into their daily lives. It has the ability to offer precise audience targeting. Custom Design is also possible!! 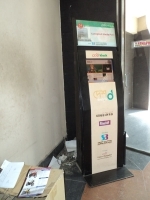 Where Kiosks can be used? 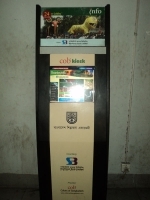 Below is the specification of a typical COB Kiosk. 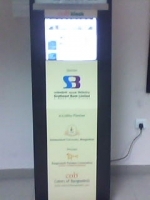 COBKiosk has the latest hardware specifications to make the kiosk responsive. The specification can be customized according to order request. 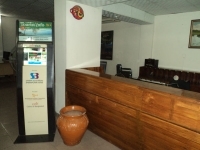 COB Kiosks can be customized to balance between quality and economy, the way you desire. Kiosk Operating System and Software price depends according to requirements. Please see the packages below for details. 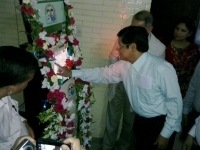 Colors of Bangladesh has 3 packages: Basic, Ultra and Sky. These packages are designed to give you the exact service you want from our device and in a definite budget. 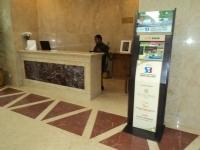 Each package has the kiosk hardware and software to make it functional and interactive. You can select any package and contact us for further details. You can contact us to customize the above packages.